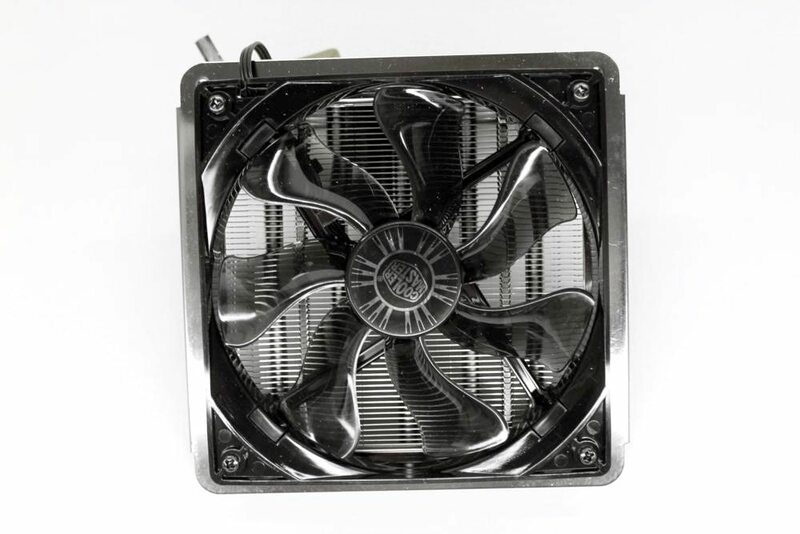 At the top of the cooler, we see the 1300RPM 120MM fan. It’s got this great looking translucent black colour scheme that offsets the aluminium fins really nicely. 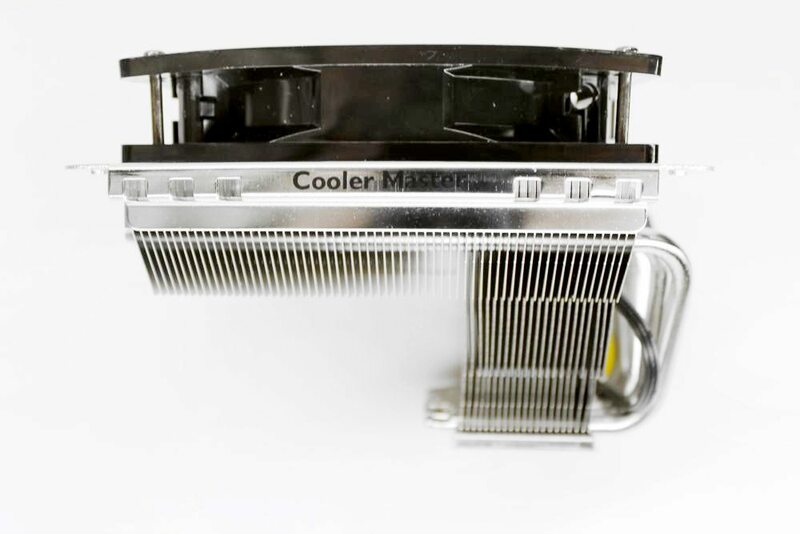 I do think Cooler Master tightened the fan a little too much from the factory and wasn’t very evenly tightened either. However, some quick work with a screwdriver soon fixes this. “Please peel off label before you use it” Keeps the base shiny in shipping. 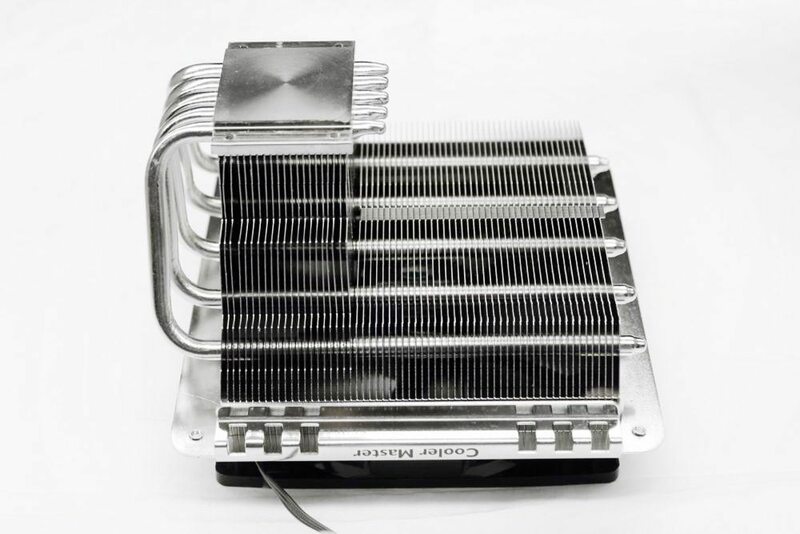 The base, slightly different to the normal heatpipe direct touch style we’re used too from Coolermaster. Although it’s not been polished to a mirror finish, the base is both flat and smooth which is what’s important. Five 6mm heatpipes laid out through the base. 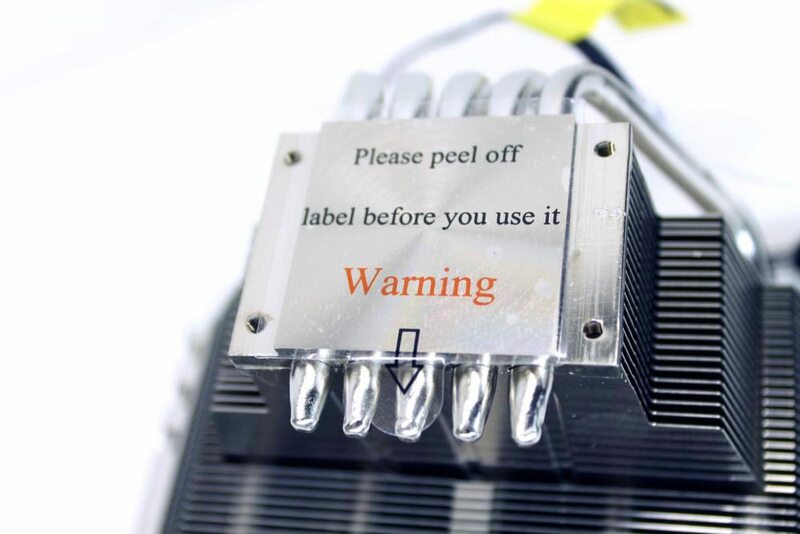 You can also see how thick it is before reaching the heatpipes, this is definitely going to help spread the heat between them. 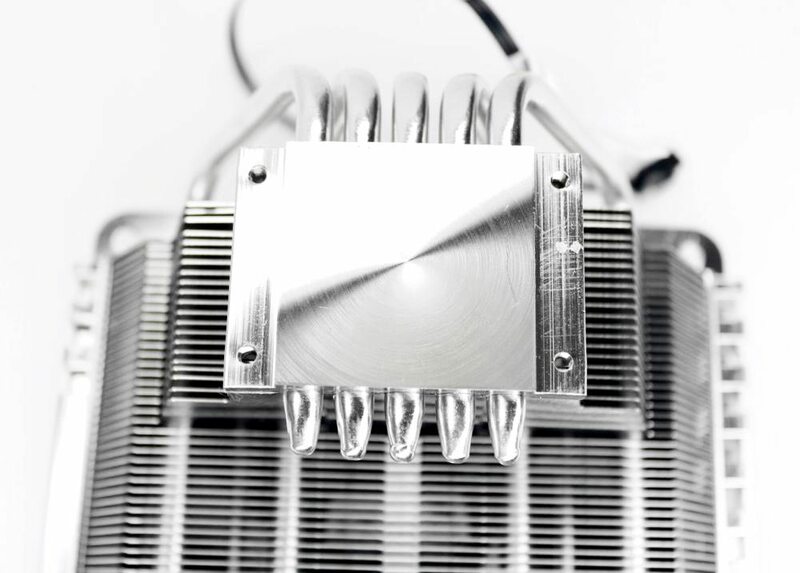 At the fin array with five heatpipes going through it, we see mounting holes for both 120MM fans and 140mm fans. So I attached a 140mm fan. Quite nicely it fits too. The fins directly above the base are attached to help cool it further. After that the fins are all shorter to allow space for tall memory heat spreaders. 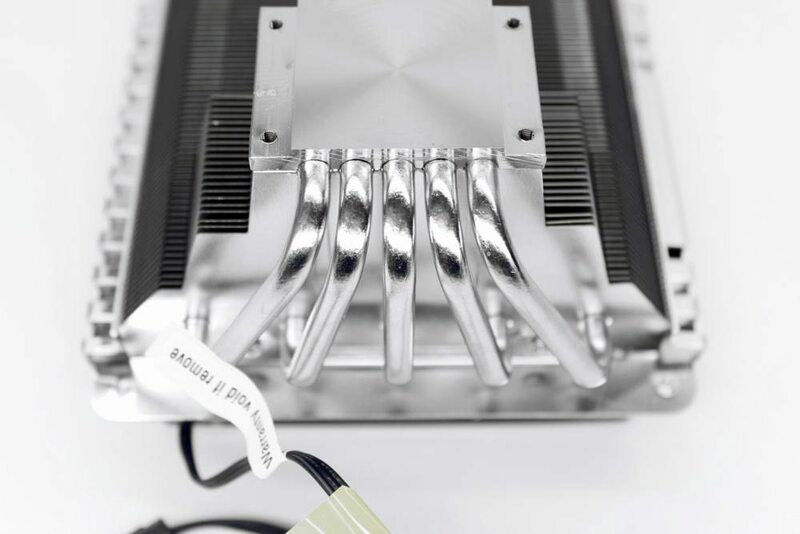 The AMD stock cooler is designed the way is it is for a reason and that is so air expelled from the cooler is blown over system components such as the VRM area and RAM to help keep them cool. The problem with tower coolers is that very little air tends to reache either of those areas. This is where the Gemin II SF524 comes in.